On Thursday October 1st from 11 am until 3 pm, The Linen Tree will be hosting Caspari personalization expert John Conts. 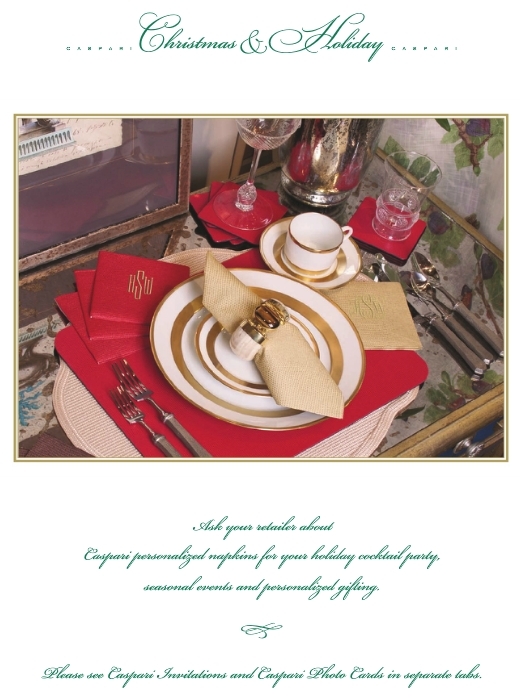 Caspari’s entire line of paper greeting cards, napkins, plates and guest towels will be available to sample. We will be raffling away prizes, and John will be on hand to help you select and personalize the items you need for your upcoming Thanksgiving, Hannukah, Christmas and holiday parties, making this a terrific opportunity to prepare for the upcoming holiday season. For those unfamiliar, Caspari is a publisher of exquisitely designed and printed paper products, with a reputation earned by reproducing the work of established artists and museums from around the world. 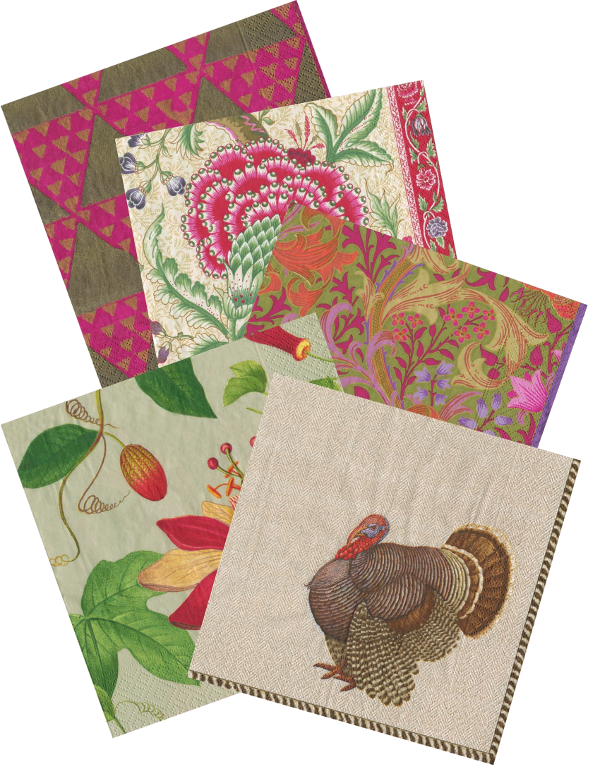 The company was founded nearly 70 years ago, and initially imported Christmas cards made by European artists. We will also have Care Cards on sale – this year’s proceeds benefit Phoenix Children’s Hospital and the sale runs from October 16th to the 25th. And this will also serve as a perfect opportunity to order Uppercut (Sybaritic) placemats, Abyss towels and Downright down bedding just in time to guarantee delivery by the week of Thanksgiving. This entry was posted on Monday, September 14th, 2015 at 4:36 pm	and is filed under Official Updates. You can follow any responses to this entry through the RSS 2.0 feed. You can leave a response, or trackback from your own site.